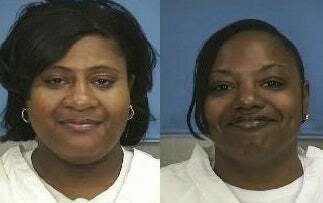 CNN is reporting that two Mississippi sisters who have spent 16 years in prison over an $11 armed robbery will be released with an unusual stipulation: One must donate a kidney to the other. Gov. Haley Barbour, who suspended their sentences, said Wednesday that Gladys Scott, 36, must donate a kidney to her sister, Jamie, 38. Each of the "Scott Sisters" got two life sentences after they were convicted by a jury of robbing two people near the town of Forest. Even though the sisters are up for parole in 2014, Barbour says they are no longer a threat, and the dialysis treatment created a substantial cost to the state. Jamie Scott's three-times-a-week dialysis costs the state about $190,000 a year. The NAACP celebrated the release of the sisters. NAACP President Benjamin Jealous sent a tweet Wednesday night: "Spoke to Governor Barbour today, The Scott Sisters will be freed!!!!" The Scott Sisters have maintained their innocence over the years. It is interesting that Barbour would agree to free the Scott Sisters so close to the recent debacle over his comments about the civil rights era. Instead of saying that he's doing the right thing, Barbour makes their release about the cost to the state. We suspect that the Scott Sisters don't care about his intentions, just the outcome. Hopefully, Jamie Scott will get better and the Scott Sisters can move on with their lives.